Kiwi Coast follows the lives and adventures of four wild kiwi - Milo, Kokiri, Marohi and Kicker. 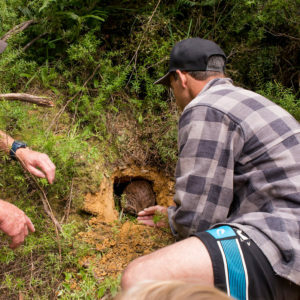 These young males were all released on the Tutukaka Coast over the last 2 - 3 years by Tutukaka Landcare. They now face the challenges of staking out a territory, finding a mate, and adjusting to life on the mainland. 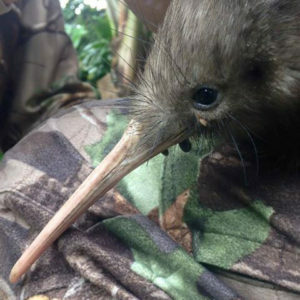 These Northland brown kiwi were all raised from chicks on Whangarei's predator free kiwi creche - Matakohe-Limestone Island - until they reached the magic weight of 1kg and became strong enough to fight off a stoat. 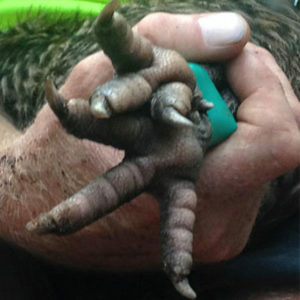 Each of the kiwi followed has a transmitter on his leg so we can track it from a distance using telemetry monitoring equipment. The transmitter sends out data that lets us know where the kiwi is located and things like how long he is active each night. We can use this information to tell if one of our young males attempts to nest. Northland brown kiwi dad's are the sole incubators of the eggs - Mum's done enough work laying the largest egg per body size of any bird in the world! However, it's tough work. The dad's have to sit on the egg/s for almost 3 months! 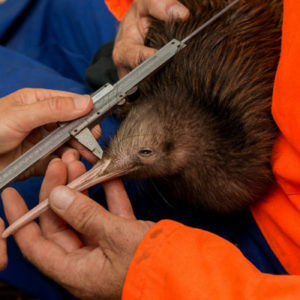 All kiwi released in Northland are also fitted with transponders. These are tiny microchips, each with it's own unique ID code, that can be "read" by an electronic device to identify the bird at anytime in the future. You can become a kiwi sponsor and follow the lives and adventures of Milo, Kicker, Marohi and Kokiri by signing up to the Kiwi Coast 'Follow a Kiwi' Program. Where will they wander next...? Who will be first to find a mate? Or who seems content, enjoying a bachelor lifestyle on his private Tutukaka beach ...? As a Follow the Kiwi Sponsor you will receive news, updates, photos and event invites FIRST!